Chamba district in Himachal Pradesh is home to nearly 40,000 Gujjars, a pastoral agricultural ethnic group rearing buffaloes, that moves between mountains and plains according to the seasons. Given their nomadic life, the Gujjar community in Himachal Pradesh remains mostly uncovered by Government’s development schemes. 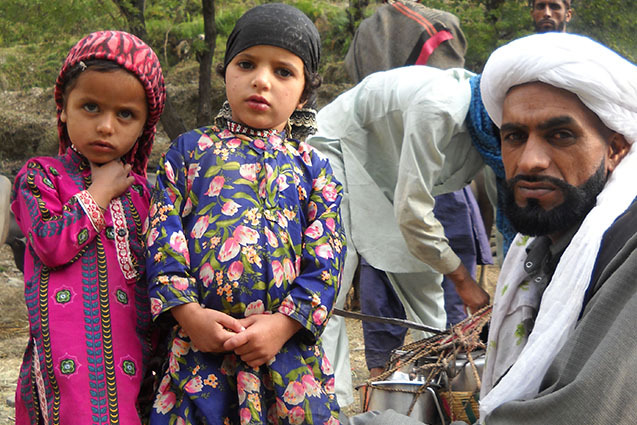 Gujjars hugely depend on the sale of milk and other dairy products for their livelihood. From the farthest reaches of Chamba, they would move to the district town every morning, going door-to-door to sell their products. However, since prices were not fixed, they would usually end up in making loss. PragatiSwayamSahayataSamuhwas set up as a collective of milk-producers in thedistrict. The PragatiSwayamSahayataSamuh, with support from the Gujjar Welfare Board, wrote to the District Collector of Chamba, requesting for allocation of space for a shop for the PragatiSamuh in the district market at Chamba. And their advocacy efforts did pay off; they finally managed to create a space in the market to sell milk and other dairy products.